Immunotherapy, although often considered the most promising cancer therapy in decades, currently still faces major challenges in identifying patients most likely to respond. With the help of comprehensive genomic profiling, finding appropriate biomarkers for immunotherapy is becoming a key driving force in the advancement of immunotherapy. 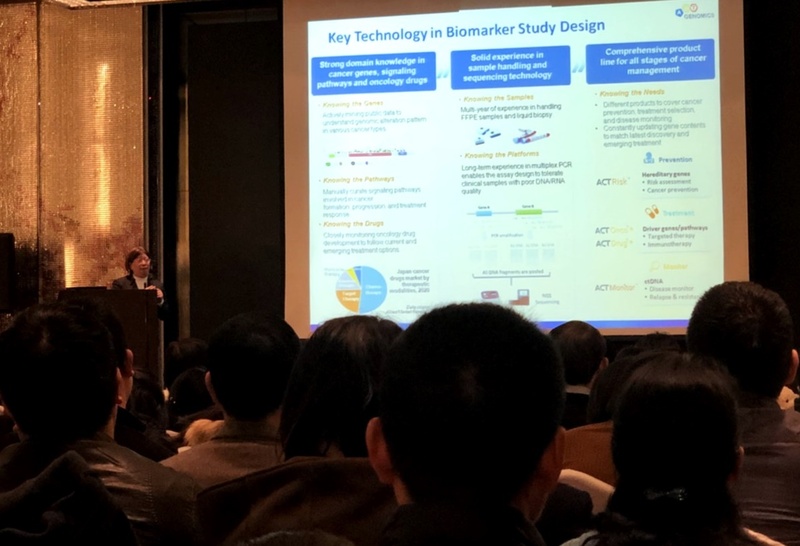 Tigermed and Teddy Clinical Research Laboratory (Shanghai) hosted a conference in Shanghai on February 28th to discuss the role precision medicine plays in immunotherapy. ACT Genomics’ Chief Scientific Officer, Dr. Shu-Jen Chen, was invited to share ACTG’s experiences on evaluating immunotherapy with genomic profiling in Asia Pacific. Dr. Shun Lu, professor of Shanghai Chest Hospital and member of ASCO International Affairs Committee, was also invited to share the latest development in predictive biomarkers and lung cancer management.